Industry experts say that there are more than twenty thousand uses of paper in the world today. Communication, currency, hygiene, manufacturing, packaging and construction are a few of the commercial applications of paper. 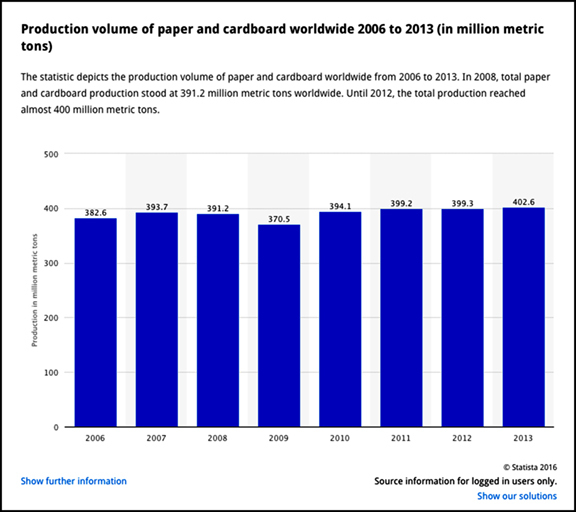 Remarkably, even with the growth of electronic and digital alternatives, the worldwide production of paper and cardboard has continued to expand. Throughout its history, paper has served as the vehicle upon which an image is presented; it is the medium that delivers the message. The more invisible its “negative” form, the more effective paper carries its “positive” content. Perhaps this background role is at least partially responsible for the perception that paper is more effect than cause; that the development of paper has always been driven by the requirements of what is printed upon it. However, the truth is that the evolution of paper and the methods of its making have proceeded in reciprocal relation to print, as both its catalyst and consequence. And so it was that paper was invented by Ts’ai Lun (Cai Lun) in China in 105 AD initially for the purpose of facilitating calligraphy. By the time Oriental wood block printing was developed a century later, the making of hand writing papers was an established craft. The new printing method was adapted to the lightweight Chinese stock and the soft impression of the wood block prints could only be effectively made upon one side of this paper. Beginning with the papers made for Chinese calligraphy from around 100 AD, Chinese wood block printing types (200 AD) and Gutenberg’s metal type characters (1440) were influenced by the paper that was available at the time of their invention. More than one thousand years later—after papermaking made its way across Asia and the Middle East and became established in Europe—a different kind of paper was being made. Crafted from macerated linen and cloth fibers, dipped in animal gelatin and dried to accommodate the quill pen, this paper was used by Gutenberg in the application of his movable metal printing types. The pressure of the inked metal type impression took to these hardened European papers in a manner that facilitated printing on both sides of the sheet. Four-and-a-half centuries later, as print was being transformed from a craft to an industry, paper once again emerged as the driver of innovation. Many years before the application of metal construction, cylinders and steam power to printing machines, the technology of papermaking had undergone its own revolution. In 1798, Frenchman Nicholas-Louis Robert began the industrialization of printing by inventing the papermaking machine. Although there were many technical hurdles to be overcome, the essential features of Robert’s first successful invention have remained standard in paper manufacturing to this day. Robert’s technical innovation was the rotating cloth screen (wire) belt that received a continuous flow of fibers and delivered an unbroken sheet of wet paper to a pair of squeeze rollers. As the long strip of paper came off the machine, in Robert’s configuration it was hung by hand to dry on a series of bars or cables. This would later become a roll of paper. 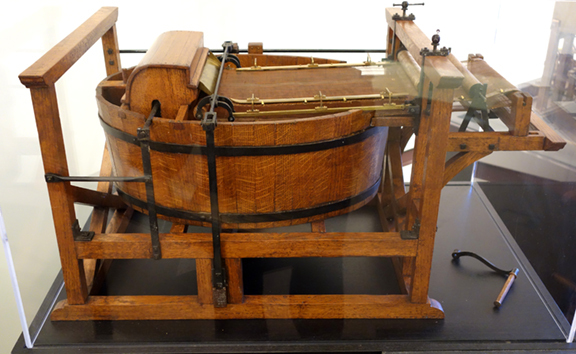 Prior to the Robert’s invention, all paper was made by hand and consisted of dipping a framed mould with a porous surface into a vat of fibers suspended in water. Upon lifting the mould from the vat, a thin layer of fibers rested on top of the screen and was dried to form a sheet of paper. With this method, the mould could be used again only when the sheet had dried and been removed from it. The volume of paper that previously would have taken many hand papermakers and many hours could be produced by a single operator in far less time. Sheet dimension was limited with handmade paper. It was not possible for a craftsman to adequately balance a large mould. 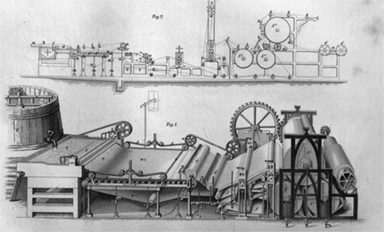 With Robert’s machine, paper size was limited only by the width of the machine and the length was endless. 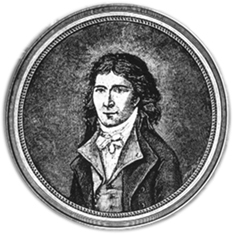 Nicholas-Louis Robert was born in Paris in a small house on December 2, 1761. He had health problems as a child and was quite frail. Despite his condition, when he turned fifteen, the boy made an effort to join the French army because he was concerned that his aging parents could not afford to take care of him. The military did not allow him to join and Nicholas-Louis was returned to his parents’ home to continue his studies. Four years later, following a period of severe mental anguish for having been a burden to the family, Nicholas-Louis again applied for military service. On April 23, 1780, he was admitted to the First Battalion of the Grenoble Artillery and was stationed in a garrison at Calais, a port city in Northern France across the English Channel from the clifftop town of Dover. Robert’s military experience took a dramatic turn in 1781 when the young soldier was sent to war in the Caribbean during the American Revolution. The French Metz Artillery regiment sailed to Santo Domingo to fight an engagement against the British. Having won the battle, Nicholas-Louis returned home and shortly thereafter left the military at age 28 to seek an occupation in civilian life. With a mechanical aptitude, Robert turned to the printing craft and landed a clerkship with the well-known printing, type founding and publishing company Didot in Paris. After working for several years in the office, Nicholas-Louis sought a new opportunity in related industries and came upon the paper mill operations of Francois Didot in Essones, a well-known papermaking center south of Paris. The Didot papermaking operation was quite important as much of French paper currency was printed there. Nicholas-Louis initially obtained a position as mill personnel inspector. Having regular contact with the staff, Nicholas-Louis found that there many antagonisms among the hand paper making tradesmen and these problems frustrated him. After working in the mill for months, it occurred to Robert that there was a more advanced method for making paper; that it might be possible to get around the constant quarrelling among the papermaking trades. While the discord among the employees of the mill may have been the impulse for Robert’s research—he was after all under the direction of the owner Didot—the fact is that his project led to a significant reduction in the cost and a more abundant supply of paper. Robert’s initial attempts at a papermaking machine were failures and termed “feeble” by Didot. Nonetheless, Didot encouraged Nicholas-Louis to continue with his work. For a time, the young man gave up on his project and became involved in other areas of mill operations. But under the constant prodding of his boss, he returned to his research in mechanical papermaking. Soon, with the help of others at the Didot establishment, Robert saw that the basic principles of his original concept were sound. His earlier work was revived and he proceeded with the construction of a device that was larger than the first machine. Finally, when trial sheets of paper had been effectively produced on the new machine, Didot encouraged Nicholas-Robert to file a patent for his invention. The patent was granted at a cost of 1,562 francs and dated January 18, 1799. Considering the fact that the maximum length of handmade paper was about 32 inches, Robert’s machine represented an enormous step forward. The French government recognized the significance of his invention and dispatched an engineer to the Didot mill to assist in the construction of an improved model. Mention must be made of the fact that Robert’s papermaking machine was invented during the tumultuous years of the French Revolution (1789-1799). It is no accident that this technical breakthrough coincided with the spread of the ideas of “liberty, equality and fraternity” that depended greatly upon the printed word. However, as the historian Dard Hunter described, the “disturbed conditions” of the period were such that very little progress was made by Didot and Robert beyond the initial invention. As Robert became preoccupied with the financial benefits of his accomplishment, he sold his patent to Didot for 25,000 francs, a modest sum considering the implications of the invention. Didot immediately sought to move further development of the project out of France and into the more stable environment of England. Didot’s brother in law, John Gamble, was an English paper-mill owner and the two corresponded to have a much larger machine constructed. It was then that the London stationers Henry and Sealy Fourdrinier became involved in building papermaking machines. 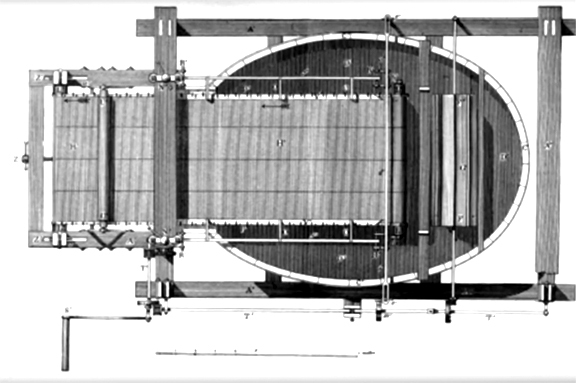 Following several modifications to the wire, the Fourdrinier brothers invested 60,000 pounds in the construction of a large machine that could make paper on continuous rolls. This attempt was eventually proven successful and they were granted an English patent for it in 1806. However, the project was not commercially successful and it bankrupted the Fourdriniers. Nevertheless, to this day—although its basic design was invented by Nicholas-Louis Robert—the papermaking machine bears the Fourdrinier name. While the Fourdrinier machine underwent rapid development in the nineteenth century, the ingenious Nicholas Louis was living quietly in France. When the first commercial papermaking machine was installed there in France in 1811, Robert was approaching fifty years of age and on his way out of the papermaking business. In 1812, he opened a small primary school in Vernouillet, northwest of Paris where he worked as a poorly paid teacher. 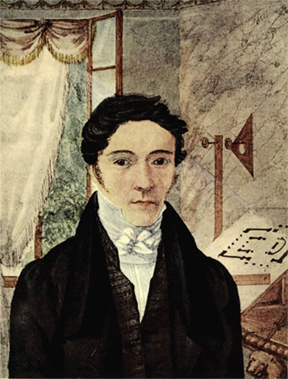 Never realizing the financial benefit from his invention, Nicholas-Louis died broken and destitute on August 8, 1828. A monument to Robert’s memory was erected in 1912 outside the church at Vernouillet. We often take paper for granted. When searching for a dollar bill, filling up a fountain drink cup or moving a leaf bag to the curb, do we think about paper? Probably not. We are focused on the useful purpose of these daily items and don’t have time to stop and think about how they are made or what they are made of. Paper in all its different forms, qualities and applications has been around for a very long time. Most commonly, paper is thought of as a medium for the written or printed word. 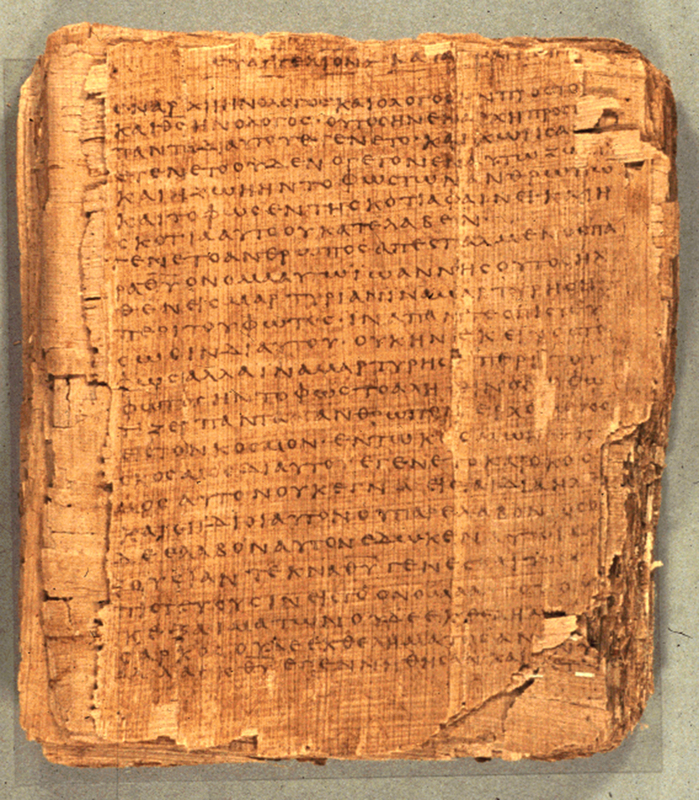 This is natural since paper—the word is derived from the Latin term papyrus—was developed as a writing surface 1,800 years ago by the Chinese to replace wood and bamboo scrolls. The papermaking process—basically unchanged since Ts’ai Lun invented it in 105 AD—is a marvel of human ingenuity. Distinct from the papyrus of ancient Egypt, where thinly cut plant stalks were woven and laminated together, paper is the reduction of a raw material to individual fibers and their liquid suspension onto a mat or sheet. With today’s instant global communications and world travel, it might seem strange that it took 500 years for papermaking to leave China and arrive in Japan and nearly 1,000 years for it to reach Europe. Nonetheless, paper’s global growth and development is an important chapter of world history. In the seventh century, the Japanese were the first to recycle and repulp paper. In 750 AD, after a battle between the Chinese and the Muslims in what is now Uzbekistan, a group of Chinese prisoners revealed their secrets to their Middle Eastern captors. Once the Muslims began making paper, they went on to develop water powered stamping/hammer mills for the pulping process. Papermaking entered Europe through the Muslim Moors of southern Spain in about 1100 AD. At that time, most European documents were recorded on parchment, a writing surface of sheepskin or vellum from calfskin. Since Europe was majority Christian and it was the time of the Crusades, the papermaking techniques of the Moors were not discovered by Europeans until after the military campaigns were concluded in the south. Once the Vatican was exposed to the wonders of papermaking, Italy emerged as the primary producer of paper in Europe. In the thirteenth and fourteenth centuries the center of papermaking moved from Italy to France when the craft was encouraged by the monarchy. Just as demand for handwritten documents was on the rise, metallurgist Johann Gutenberg invented the mechanical methods of type setting and printing in Mainz, Germany in 1450. As the printing press spread throughout Europe, the volumes of paper being produced by the mills in France and Italy grew exponentially. By the eighteenth century, papermaking had moved largely to Germany and Holland due to the social and political instability in France. Meanwhile, the technology of the paper industry was undergoing a transformation brought on by the emergence of manufacturing throughout Europe. These are the same industrial developments that impacted printing presses; iron in place of wood; steam in place of manpower or other natural forces such as wind and water. In 1800, a Frenchman named Nicholas-Louis Robert patented an invention that converted papermaking into a mass production industry. Robert’s paper machine had a continuous wire screen upon which the slurry was poured so that the excess water would pass straight through it. The paper in formation was progressively dried by a series of felt rollers until it was solid enough to be wound onto a roll. Thus, paper no longer needed to made in individual sheets. Several years later, Robert’s invention was sold to the Fourdrinier brothers of London where they constructed a much larger version of it. In 1812, the first Fourdrinier—the name associated with Robert’s invention and remains the primary method for papermaking to this day—machine was started up in a mill near Two Waters, England. Later, cylinders for pulp transport, drums for drying and techniques to prevent ink absorption into the fibers of the paper (sizing) would modify the Fourdrinier system. By the mid nineteenth century, the center of papermaking moved to America and played an important role in the growth of newspaper publishing around the time of the Civil War. Up to this point, the fiber for papermaking—especially in Europe—came from the fabric in rags. But with the vast forests of North America, wood fiber quickly became the source of paper pulp and groundwood the essential raw material for the newsprint industry. In the twentieth century, as printing technology moved from black and white letterpress to full color offset lithography, coated papers were developed. The papermaking process evolved from offline to inline coating systems. Today, the pulp and paper industries worldwide are going through a transformation born of the global economy and the shifting of paper consumption from west to east. According to industry data, paper consumption in the advanced world is falling rapidly—brought on by electronic media and recycling practices—while paper consumption in the developing world is rising even more rapidly. In 2009, for example, paper consumption in China surpassed that of the United States for the first time. While paper remains the number one media for publishing, electronic and online alternatives have been in development and grown rapidly over the last several decades. In the 1970s, Nick Sheridon at Xerox’s Palo Alto Research Center (PARC) developed the world’s first electronic paper, called Gyricon. It consisted of microscopic polyethylene spheres with black on one side and white on the other embedded in a silicon sheet. With the appropriate electronic charge this e-paper could be used over and over again to display an unlimited number of different images much like a computer monitor. In 2007, Amazon began marketing the Kindle e-book reader based on a principle similar to Sheridon’s invention. The Kindle emulates the visual characteristics of book paper because it relies upon reflective light as opposed to the transmissive backlighting of computer displays. Although these technologies lack the surface flexibility of paper, there are developments underway that will soon bring that attribute to electronic publishing. 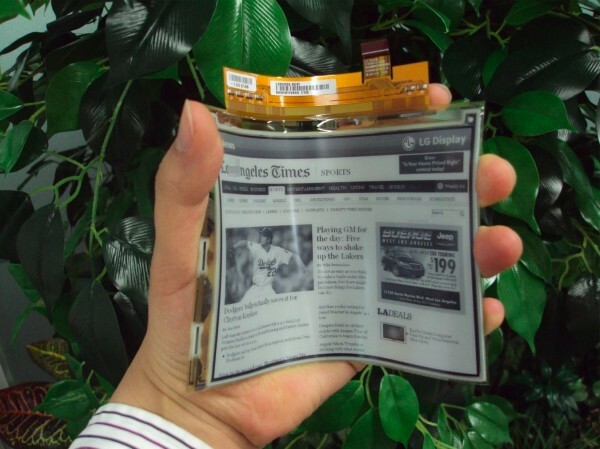 For example, in March of this year, LG unveiled the world’s first commercially available six-inch e-paper display that can be bent at an angle of up to 40 degrees. While good old-fashioned paper will be around for a long time—ensured by its utility, durability, recyclability and cost—the one sector where we can now visualize its decline and disappearance is in the publication of books, magazines and newspapers. Perhaps by that time we will better appreciate the miracle of paper and no longer take it for granted.